Endless pride and great glory, honor and dignity, national treasure, the holy love for which people keep in their hearts throughout lives. People bow before it, swear allegiance to it, go into battle under it and die for it. 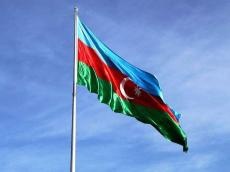 Today, Azerbaijan celebrates the National Flag Day. The great symbol of the unity of the people - the tricolor flag, along with the anthem and emblem, is the official attribute of the statehood of Azerbaijan, and its history reflects the stages of development and change of homeland. Almost a month after the adoption of the Declaration of Independence and the proclamation of the Azerbaijan Democratic Republic, on June 21, 1918, the first decree was issued on the state flag of the ADR. However, this flag as a symbol of the ADR did not last long - on November 9, 1918, based on the report of Prime Minister Fatali Khan Khoysky, a draft national flag was approved - tricolor with horizontal stripes of blue, red and green with a white crescent and an eight-pointed star. A new state flag was hoisted above the parliament building on December 7, 1918. The first chairman of the ADR National Council, Mammad Emin Rasulzade, said in his speech at the parliamentary session that this tricolor banner, symbolizing independent Azerbaijan, raised by the National Council and signifying Turkic freedom, Islamic culture and modernity, will always fly over the country. The author of the tricolor flag of the Azerbaijan Democratic Republic was Ali Bek Guseynzade, an outstanding Azerbaijani philosopher and doctor, artist, founder of modern Azerbaijani oil painting on canvas. Blue color symbolizes Turkic roots, red stands for modernization of society and the development of democracy, and green for belonging to the Islamic faith. The crescent, adopted by the Islamic world as a symbol of solidarity and mutual assistance, also symbolized belonging to Islam, and the eight-pointed star, according to Fatali Khan Khoysky, indicated eight letters of the name Azerbaijan. Unfortunately, the first democracy in the Muslim East did not last long. As a result of the April occupation of the ADR in 1920, and Soviet power was established in Azerbaijan, all attributes of independence and statehood were eliminated. However, history has shown that only for a while. After regaining independence in 1991, the Azerbaijani tricolor again began waving throughout the country. A truly historic event took place on September 1, 2010, when the grand opening of the State Flag Square, one of the highest in the world, took place. The Azerbaijani tricolor stands majestically here.